The aging neck suffers from several distinct issues that all, in many instances, are peculiar to the neck only. Lax skin, muscles, and soft tissues (fat) can be operated on directly with or without a facelift rejuvenation procedure. The aging of the neck occurs earlier than other facial aging and is more dependent on genetics, gravity, and weight loss/gain. It is important to remember that neck rejuvenation occurs from the mandibular jawline to the area of the "Adam's Apple" and first transverse cervical wrinkle. The simplest and most straight forward of the neck procedures is the submental lipectomy where the fat is suctioned from the neck through three tiny stab wound incisions: one behind each earlobe, and the third beneath the chin. Submental lipectomy as a stand alone procedure is effective as long as the skin tone is reasonable and there is not evidence of muscle laxity. In many cases, fat removal alone could reveal a negative result due to the sagging skin it leaves behind. Also, the presence of cervical bands may be camouflaged by the fat or may exist in older patients who have minimal fat. Regardless, cervical bands may receive some temporary improvement with Botox injections but the definitive repair is called an anterior neck lift. This includes submental lipectomy as well as a small submental incision to gain access to the bands which are surgically repaired and also tightened. 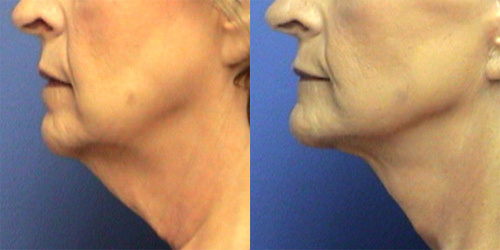 For those individuals who have the quiniella of neck deformities including fat, lax muscle bands, and excessive skin will require a full neck lift. The neck lift includes removaL of excess fat and the anterior neck lift to tighten muscle bands under the chin with incisions around the earlobe and behind the ear to tighten and remove the excess skin of the neck. In many cases, a neck lift may not completely address a patient's cosmetic goals for facial rejuvenation and a facelift is recommended. 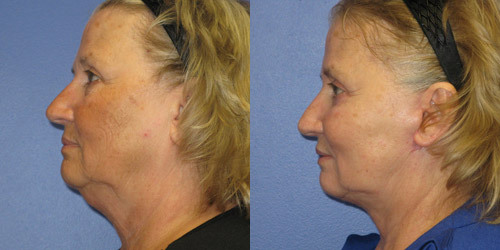 Dr. Howard's facelift addresses the face and neck areas. What is neck lift surgery & how is it done? Neck lift surgery can be performed under a local anesthestic with oral sedation as an outpatient procedure. There are three different degrees of necklift surgical procedures depending on your specific cosmetic needs: neck liposuction, anterior neck lift, and full neck lift. Where are neck lift scars? Liposuction of the neck involves very small incisions hidden behind the ear and on occasion one tiny incision under the chin. The anterior neck-lift involves a small incision underneath the chin. The full neck-lift involves more extensive incisions under the chin and/or additional ones hidden behind and around the ear. Liposuction of the neck can be very rewarding. This surgical procedure is best for patients with good skin tone. Excess fat can be suctioned out using a local anesthestic. Patients experience mild bruising and swelling following surgery. 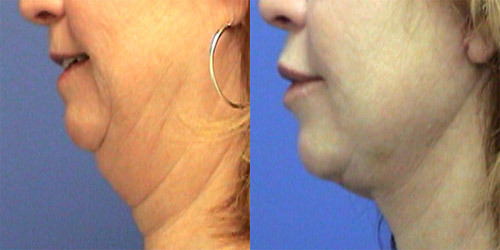 Most patients are able to resume normal activities in less than a week following neck liposuction. Patients with excess skin and poor skin tone usually will require more than just liposuction of the neck. For some patients, a new fat dissolving injection called Kybella can be performed to remove unwanted excess fat under the chin. 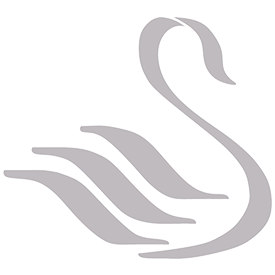 Kyella injections are performed in a series of two or three treatments with minimal down time. Kybella is FDA approved for fat removal under the chin. This procedure will vary depending on your specific cosmetic needs. Since there are three different levels of necklift surgery, your recovery will vary depending on your specific surgery. Most patients should plan to be off work for one week following surgery. Patients should refrain from strenuous physicial activity for 2 to 4 weeks following surgery. Dr. Howard and his medical staff will advise you on your specific necklift recovery instructions during your consultation. Please refer to our face and neck lift recovery page for more information regarding the recovery for full necklift as both procedures have similar instructions. This is a cosmetic surgical procedure and is not considered medically necessary by insurance companies. Insurance companies (including Medicaid and Medicare) will not cover surgical removal of skin under the face or neck area due to weight loss. The costs of necklift can vary depending on your specific surgical needs. Neck lift cost begins at $3000 for anterior necklift and $5000 for full necklift.